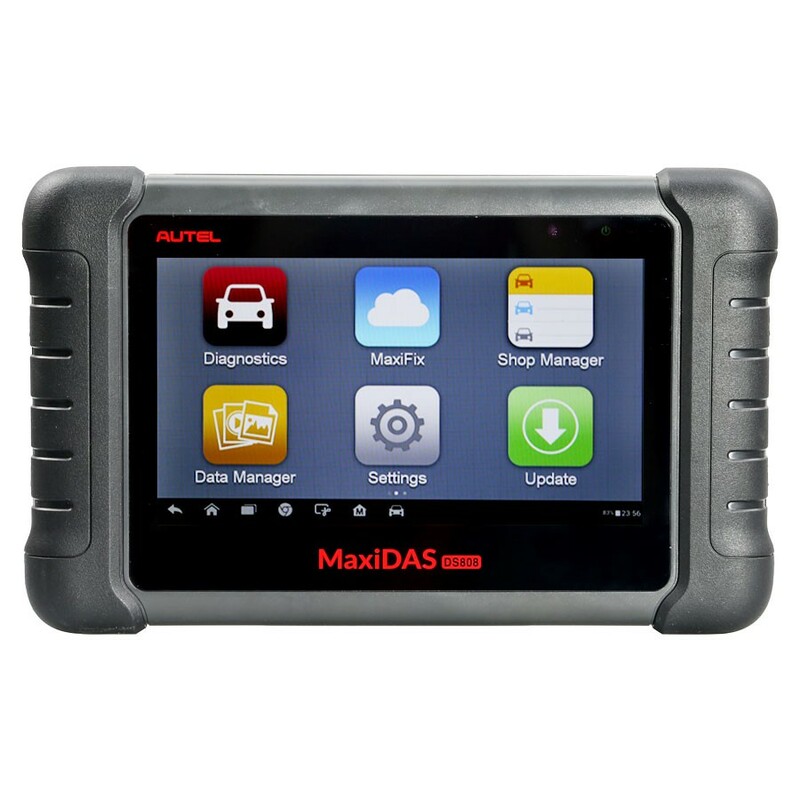 AUTEL MaxiDAS DS808 EU Version has Benz 14Pin Adapter, doesn't have Chrysler 16Pin Adapter. The only difference: This DS808 is full set, and MaxiDAS DS808 SP297 is standard set. Please confirm by checking their packge list. Review 1:With the Maxisys I was a little skeptical with it...cause i have a thing with Chinese made products...but after researching and viewing videos on this scanner...I was sold with it's functions. When I received it let me tell you...I am impressed as soon as I opened the box. The first thing I like the weight and size of it. It's light and very comfortable moving around especially that it's bluetooth...wow done with cables! Next I read people reviewing about disappointments on the updating...it was not as long as they say...I'm connected to cable modem and the update took just 1hr 1/2 and in the afternoon. I did it Ethernet instead if Wifi to make it faster. So I believe those people had connectivity issues. Now the best part, the speed of this thing...incredible. Wow the booting up, the ease of touch screen...it feels like navigating through my Samsung S6. I've had this for a week...it it already saved me money. I had a 2016 LandRover RangeRover that needed a rear brake repair...when it came time for the repair, I had no knowledge it had electronic parking brake...so I almost thought I was going to lose that job till I checked to see If the Maxisys had the electronic brake release feature...and shocking it did!! I was so happy! Next job I had was a 2009 Hyundai Sonata 4cyl, complaint was it had a 2-1 rough downshift...found there's a recall that needed to be reprogrammed on these symptoms...guess what...this thing has a Transmission ECU reset feature...and it worked! Unbelievable! I'm very happy with this and also glad I didn't go as far as investing in Snapon or Matco products. It's good enough for me! Review 2:I think DS708 is the first generation of iconic device for Autel, because of its reasonable price and cost efficient function. I owned one DS708 for many years, but regret that it will not be updated any more. So I intended to add its new extended version- DS808 for my small repair shop, which can fully meet my requirements. Its new CPU and LCD touch screen, dramatically improved the entire users’ experience, much more smooth comparing with DS708. Personally, I would recommend this tool for those small shops with limit budgets. Of course, if money is not a problem, Maxisys Elite may be your good choice. Review 3:Actually I’m self-maintainer not a shop guy, I already have Diaglink but need more professional device, which can help me do some features as adaptation or Matching & lots of things. I do like 908P but expensive, so I’m buying DS808, affordable price and good performance. Review 4:Compatible to my cars,it seems it is compatible to many US, European’Asian vehicles ,user friendly and has software for different vehicle models and systems. Very handy and has different adapters for the car models, I will use the equipment to scan and diagnose. Would recommend this product. Worth the money! And Motorzone send me a free headset.Sounds good.